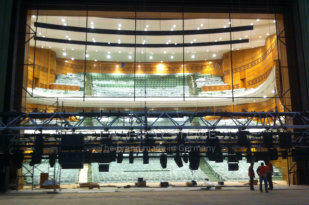 Breathtaking musicals and revue shows on the world‘s largest theatre stage of the Friedrichstadt-Palast in Berlin have been reliably accompanied by LPS laser show systems since 2011. 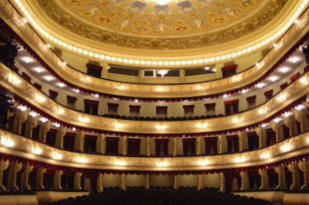 Perfect for large gala concerts with Opera stars from all over the world. Our powerful laser show sytems are enchanting in the Turkmen capital of Ashgabat. 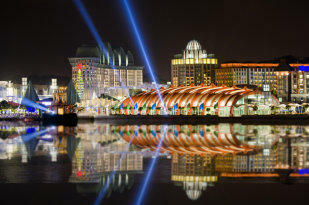 Grafik projections and beam shows take the visitors to different levels and simulate an underwater show at the Thypoon Theater, Sentosa Island, Singapore. 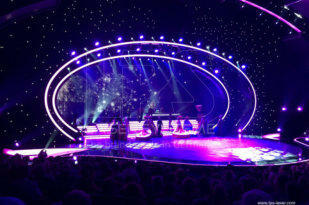 Visual support by selected laser effects for the trendy orchestra at Obecni Dum in Prague, Czech Republic. That way the largest and oldest theatre in Georgia is the Rustaveli Theatre in Tbilisi. 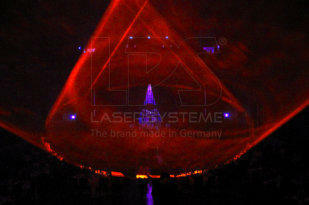 Since 2005, laser technology from LPS reliably fascinates the audience. Europe‘s 1st event resort Scalaria in Austria extended its extravagant high-end technology in the „Do-X Teatro“ with the special design „Laser Veil“ from LPS - a vertical laser cone in RGB. Obecni Dum, Prague, Czech Rep.